Arthroplasty, from Arthro “joint” and plasty “surgical shaping,” is also known as joint replacement. 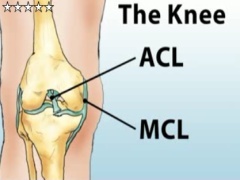 Knee arthroplasty refers specifically to the knee replacement. It is used to treat osteoarthritis, severe rheumatoid arthritis, and post-traumatic arthritis. Read Frequently Asked Questions about Arthroplasty here. Before the procedure: Diagnostic x-rays, aspiration of joint (to check for infection), blood tests to assess health, urine tests to be sure no infection exists; all appropriate dental work completed. During the procedure: The easiest way to understand knee replacement is to compare it to capping a tooth. A saw is used to remove the damaged cartilage and a small amount of bone. The ends of the bones are then “capped” with metal alloy. A plastic liner is placed between them to allow a smooth gliding surface. The underside of the kneecap is also replaced with a plastic liner to allow smooth motion. In order to keep the metal in place, medical-quality cement, which works like grout, is applied between the metal and the bone. After the procedure: Physical therapy. While resting in bed, reduce the likelihood of clots by wearing compression stockings and moving frequently. Some surgeons will use a blood thinner such as warfarin (Coumadin) or aspirin to lessen the risk of blood clots. Use crutches or a cane to walk until your doctor says otherwise. Stay within your safe range of motion. Bathe and shower as directed. Pain, swelling, redness, drainage or bleeding increases in the knee or there are symptoms suggesting infection such as fever.